A luxury two-tower condominium at Kennedy Road and Highway 401. Phase 2 coming soon, The Kennedys will reflect the quality and pride of craftsmanship of SAMM Developments, developer of international experience and reputation. 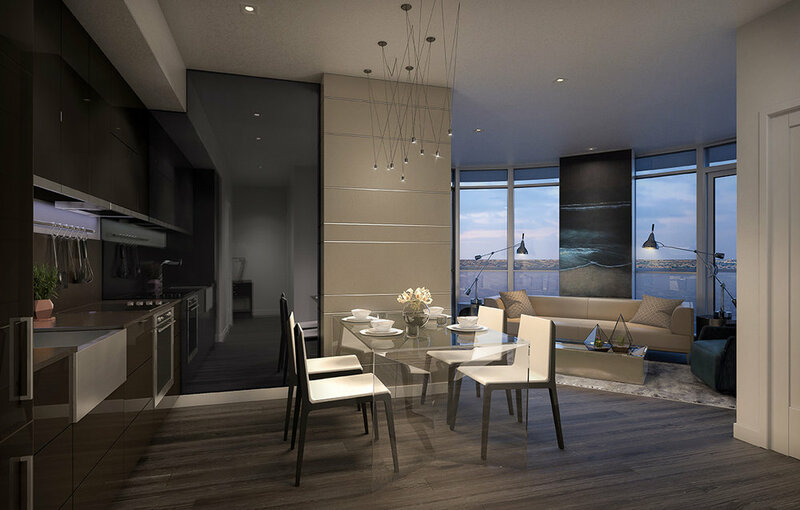 By the Delta Toronto East Hotel, this luxury living condominium will take elegance to new heights with its inspired and spacious suites, fine quality features and finishes, outstanding views and exceptional amenities. Near Kennedy Common, Scarborough Town Centre and nearby Glamorgan Park. Served by TTC, the Scarborough LRT and GO - with instant highway access. Register Now for Phase 2.